Flint River in the 1970s. Image courtesy of the U.S. Army Corps of Engineers. I worked recently for a United Nations-affiliated international non-governmental organization in Geneva, Switzerland, named WaterLex. It specializes in finding sustainable solutions based on human rights to improve water governance worldwide. Much of its work involves educating parliamentarians and others about the human rights to water and sanitation, established in 2010, and how they can be mixed into practices such as integrated water resources management. In that context, I was accustomed to hearing about water crises in African and South American countries where municipalities often lacked adequate infrastructure for water provision. So I started to think I knew a thing or two about a government’s obligation to realize the human right to water for its population. Then, while I was still living in Switzerland, came news of Detroit, Mich., shutting off water to customers who hadn’t paid their bills. A similar situation came to light in Baltimore, Md. In those places, a cry rose up for aggressive action to uphold the human right to water, with a focus on the issue of affordability. In the U.S., a country where infrastructure has been in place to provide freshwater to most homes in most municipalities for more than a century, invocation of the human right to water was a surprising and unsettling thing to hear. But the water crisis in Flint, Mich., cranks up the volume to a whole new decibel level, and rightly so. The allegations are appalling: Officials knowingly allowed households in a city of 100,000 to drink, cook and bathe in water fouled by lead and other contaminants from lead pipes corroded by polluted Flint River water, following a money-saving switch to that water source from Lake Huron and the Detroit River. Documentary filmmaker and Flint native Michael Moore, among others, is calling for criminal prosecution of Mich. Gov. Rick Snyder. With young children at risk of brain damage and other health problems, it’s not difficult to picture an approaching flood of lawsuits. Fixing Flint’s water is expected to take many years and cost hundreds of millions of dollars. Worse, too much lead in municipal water is not limited to Flint. News reports point out city after city in several states where aging infrastructure and improper maintenance have been creating similar problems. Note to cities and towns: Before that water infrastructure gets to be about a century old, you have to increase the amounts of money and effort put into its upkeep or replacement. If not, you’re likely to soon be taking away your people’s human right to water, and that will always end up being a bigger bill to pay in the end. Oh, and … though it used to go without saying … don’t poison everyone. 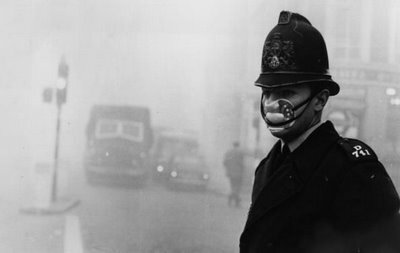 Dec. 4th: On this day in 1952, a heavy blanked of smog settled over London. Before it cleared, about four days later, it caused respiratory illness so severe that up to 12,000 people died, according to estimates. The weather had been cold, so home furnaces burning coal added a lot of extra smoke and soot to factories’ and vehicles’ output. When cold air moving in from the west collided with a high-pressure air mass arriving from the east, the pollution was temporarily trapped over the city. If you were walking down the street on Dec. 7 that year, you could see as little as 15 feet in any direction, thanks to the heavy haze. Unfortunately, you can still have that experience today, in places like Beijing. The Great Smog of ’52, aka the Big Smoke, contributed to the creation and passage of the UK’s Clean Air Act of 1956 and other measures that reduced coal burning. Nevertheless, another series of really bad air days followed, exactly 10 years later, in Dec. 1962, killing about 750 Londoners. Are We in the Midst of the Next Mass Extinction? Get the antidepressants ready. I’m going above and beyond my normal reading about water crises and brushing up on the next mass extinction, which some scientists consider to be in progress at this very moment. 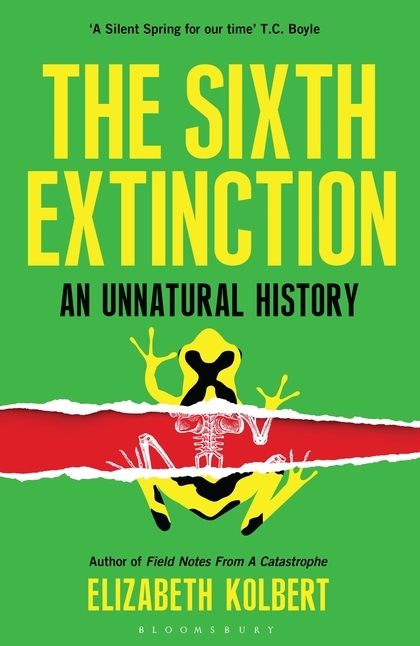 My wife saw me eyeing Elizabeth Kolbert’s The Sixth Extinction: An Unnatural History in a Geneva bookshop this morning and bought it for me, despite knowing that I will probably blather on about it for weeks to come. Essentially, the theory is that another mass extinction, where most life on the planet goes the way of the dinosaurs (they were famously wiped out in the fifth and most recent mass extinction), is coming — and humans have greatly accelerated it by causing climate change. Looks like it’ll be a hoot! But seriously, hide the whiskey. Imagine that: One moment you’re focusing on the tiny rigging adjustments that may help qualify you for sailing events in the upcoming Rio Olympics, and the next you’re swimming in sewage because your boat hit a submerged sofa that someone threw away. 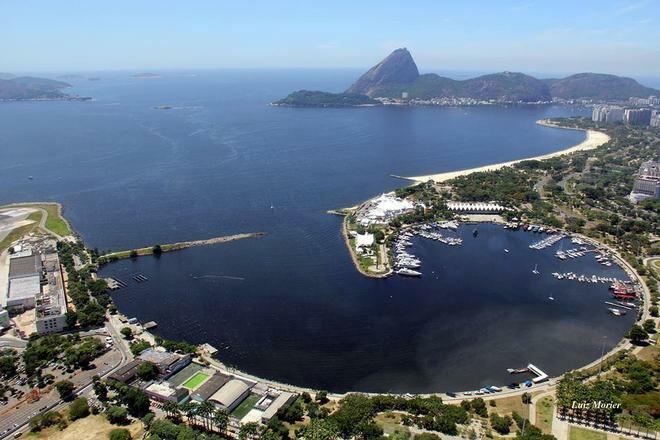 Olympic sailing hopefuls are reporting that Rio de Janeiro’s Guanabara Bay, site of the 2016 Summer Olympics’ sailing and windsurfing events, is truly fouled by raw sewage and garbage. One Brazilian athlete says he’s come across four human corpses while sailing on the bay. Brazil is making major efforts to clean up the site, but many critics fear it’s too little, too late. This is just the latest take on a familiar Olympics story: huge construction costs and delays, allegations of managerial incompetence, corruption, and human rights violations, and a sense of sinking dread over misplaced priorities. But you can’t argue with the TV ratings. In a case thought to be the first of its kind, a jury in Texas returned a verdict Tuesday ordering an oil and gas producer to pay a family claiming to be sickened by its operations near their home. In a 5-1 vote, the jury found that Plano, Texas-based Aruba Petroleum Inc. “intentionally created a private nuisance” and should pay the Parr family, whose 40-acre plot of land near Decatur sits atop the Barnett Shale close to 22 hydraulic fracturing wells run by Aruba, $2.95 million for loss of property value, past and future pain and suffering, and mental anguish. The Parrs filed the civil suit in 2011, alleging air pollution from the wells exposed them to hazardous chemicals and industrial waste, leading to symptoms such as chronic nosebleeds, irregular heartbeat, muscle spasms and open sores. Aruba disputed the verdict, saying it followed legal guidelines. The company is expected to file an appeal. This is believed to be the first civil jury verdict involving fracking, but it probably won’t be the last. 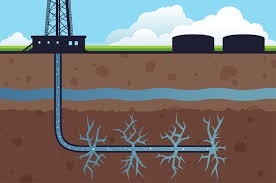 According to Wall Street Journal research conducted last year, more than 15 million people live within a mile of a fracking well. 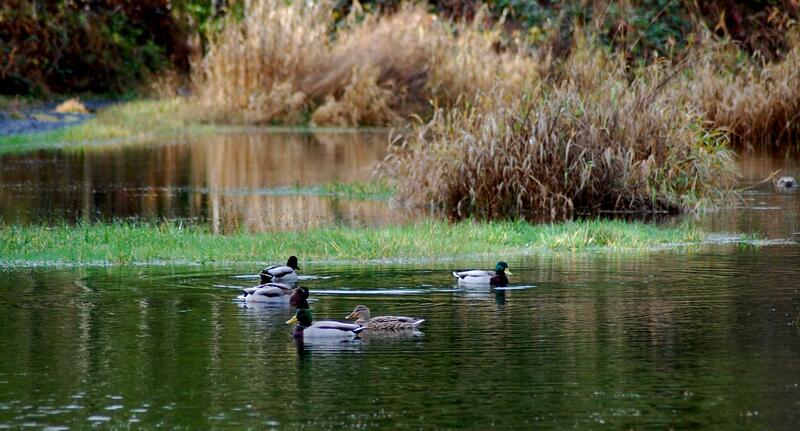 Temporary waters are waterways that don’t always have a visible connection to nearby surface waters, such as rivers and lakes, during the course of a year. Nevertheless, that dry stream bed or marsh area is part of the larger water network. A study released earlier this month in the journal Science outlines the value of temporary waters and describes how numerous countries do not include such waterways in their legal frameworks. Leaving temporary waterways outside of the law also leaves them vulnerable to human activity, like development and pollution, which can damage the surrounding water network. The study’s authors point out that the numbers of temporary waterways are underestimated in various parts of the world, and that their frequency will increase due to climate change. The world has a finite supply of accessible freshwater. By some estimates, less than 1% of the naturally occurring freshwater on earth is accessible to humans; the rest is locked up in ice or too deep and dispersed in the ground for us to get. The phrase “peak water” refers to the point at which we’re consuming available freshwater faster than it can be replenished by nature through the hydrologic water cycle to the usual sources, such as lakes, rivers, and shallow underground aquifers, many of which are already dangerously depleted. Whether we’re nearing the point of peak water, already there, or well past it is a question under ongoing discussion. One point of confusion is that water volume and use vary widely by region. Some areas are nearing or past peak water, others aren’t. 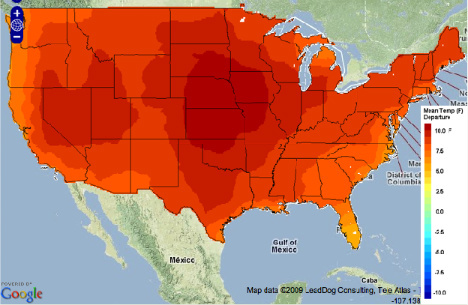 Another factor is that climate change is throwing the status quo of water abundance or scarcity by region into flux. Look at the 2013 research showing that heavy pollution from the U.S. and Europe from the 1960s into the 1980s effectively changed weather patterns, becoming a primary cause of Africa’s long, widespread, and deadly Sahel Drought. What will happen because of today’s pollution from the world’s most prolific sources? (e.g., China). 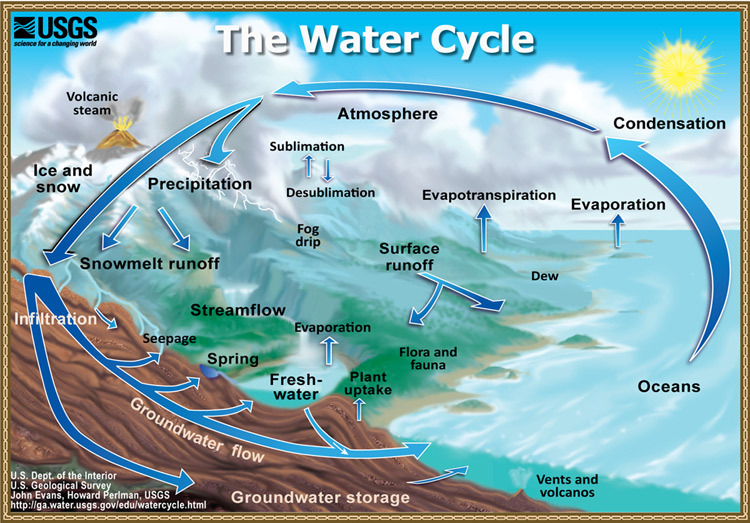 And those who don’t see water and climate change as parts of the same series of problems should note: “The hydrologic cycle is the climate cycle,” says hydro-climatologist Dr. Peter Gleick, co-founder of the Pacific Institute, in a video interview that lays out overlapping problems. Water, climate change, and energy production are all inextricably linked. 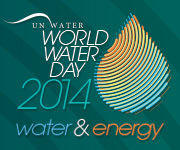 In fact, links between water and energy make up the theme of this year’s World Water Day, coming up on March 22. It’s worth noting that water scarcity is a crucial element of the resource crises cited in the upcoming NASA-funded study predicting a “perfect storm” within a few decades that could end global civilization. The study looked closely at the fall of previous complex societies, such as the Mayans and Romans, and found parallels with our unsustainable overuse of resources — particularly the massively unequal use by wealthy versus poor. However close to “peak” we may be, no sustained sense of urgency over water scarcity is apparent in mainstream media. In part this is because water supplies are local or regional, not global, and in part it’s because these problems take a long time — and a much longer attention span than a 24-hour news cycle has — to address. So you see localized articles about regional droughts and potential conflicts over resources, though rarely anything that puts the worldwide water crisis in perspective and looks ahead to cross-cutting solutions (e.g., large-scale renewable-energy power production that requires much less water than nuclear or fossil-fuel-based power, combined with modern and far-reaching conservation measures addressing agricultural, industrial, and residential water use and re-use). Compared to today’s world, our near-future planet will have double the human population, even more-severe climate change, and yet the same old freshwater, redistributed. Perhaps it’s too easy to push off the worry, as we think we’ll get serious about conservation before it’s too late. Or that governments and industry will join together to provide desalinated water wherever necessary — somehow without the troubling environmental costs of today’s practices — before vast human populations must migrate or die. Or that those fresh and brackish aquifers recently discovered under the oceans will push the point-of-no-return a few decades further into the future. Well, someday, after the fights over the rights, maybe somebody will throw billions at drilling into those aquifers. Because someday they’ll have no choice. And then those reserves will be sucked dry, too. You might say we have no choice other than to better manage our freshwater. Last month the launch of the Green Growth Knowledge Platform (GGKP) coincided with the opening of the organization’s office at the International Environment House in Geneva, Switzerland, on Jan. 22. It was a stellar opportunity for me to get out of the house, but I missed it. So I doubled back and talked by phone with the group about its efforts. It’s all about putting the best information about sustainable development and ways of reaching the goal of a “green economy” in front of the right people. 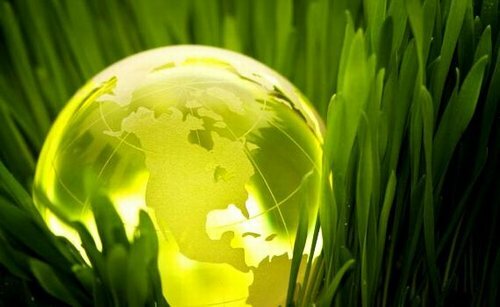 The link in the previous sentence goes to the UN Environment Programme (UNEP), which boils down the definition of green economy to its essence: It’s low carbon, resource efficient and socially inclusive. The data in the platform covers a lot of ground. The resource library contains about 600 publications organized by sector (e.g., water) and cross-cutting theme (e.g., gender), McKee said, adding that data is also organized geographically, representing 193 countries (see the Green Growth Map). There’s also a collaborative element aimed at filling green-growth knowledge gaps. Currently, committees are looking at four topics: trade and competitiveness, technology and innovation, measurement and indicators, and fiscal instruments. “If we’re able to generate results from this, we’ll branch out into other topics and launch new committees,” McKee said. And how will GGKP know if it’s succeeding in its overall mission? The GGKP was established by the Global Green Growth Institute (GGGI), the Organisation for Economic Co-operation and Development (OECD), the United Nations Environment Programme (UNEP), and the World Bank, where it was initially “incubated,” McKee said. Those steering organizations provide in-kind contributions and part-time staffing to GGKP, while strategic funding comes from the government of Switzerland, which is providing 1.6 million CHF over three years. GGKP’s main event is its annual conference; the next one, organized by UNEP, will take place in February 2015. The group sometimes stages side-events at major conferences, like the “open-thinking event on the expansion of green-growth knowledge” planned for UNEP’s inaugural Partnership for Action on Green Economy (PAGE) conference coming up in Dubai, UAE, March 4-5, McKee said.